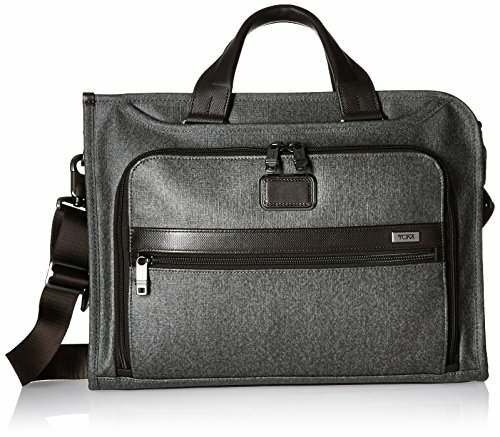 Looking for a briefcase that steps up your fashion game at work? Well Tumi is one of the best companies to look at. Their attention to detail and quality tips the scales toward their excellent bags across the board. And briefcases are one of the areas where Tumi really excels. The Tumi Alpha 2 Slim Deluxe Portfolio briefcase is one of our favorite briefcases in the past 5 years. It’s zip around enclosure is super durable and easy to access your small laptop, tablet or document folder. The interior tablet pocket makes your iPad feel right at home without risk of bumps and scratches. The whole exterior of the bag is made from industry leading ballistic nylon with a very durable and stylish ballistic weave that adds another level of durability to the package. We love the wide array of external accessory pockets topped with leather accents and top grade YKK zippers. Top that off with Tumi’s excellent Tumi ID tag system which allows anyone to return your bag to you if they find it and you have one of the best briefcase around. 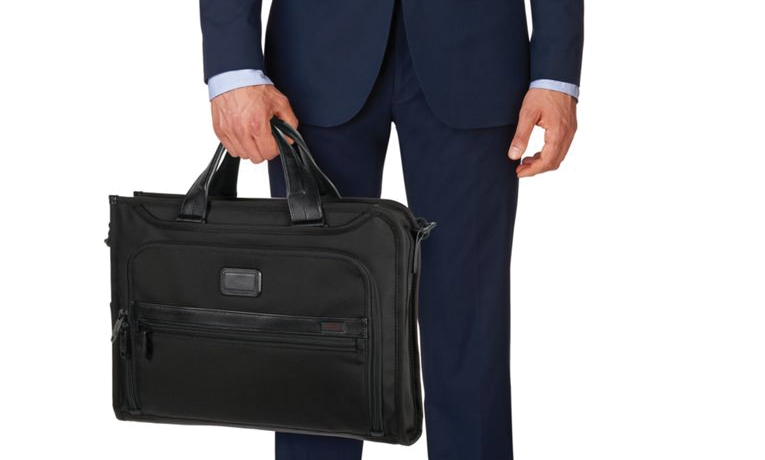 Overall the style and incredible Buy it for life BIFL durability of the Tumi Alpha 2 Slim Deluxe Portfolio briefcase makes it one of our top picks for men’s briefcases today. If you need something a little bigger, consider the Tumi Alpha 2.